Currently 2 in stock ships 1-3 days. 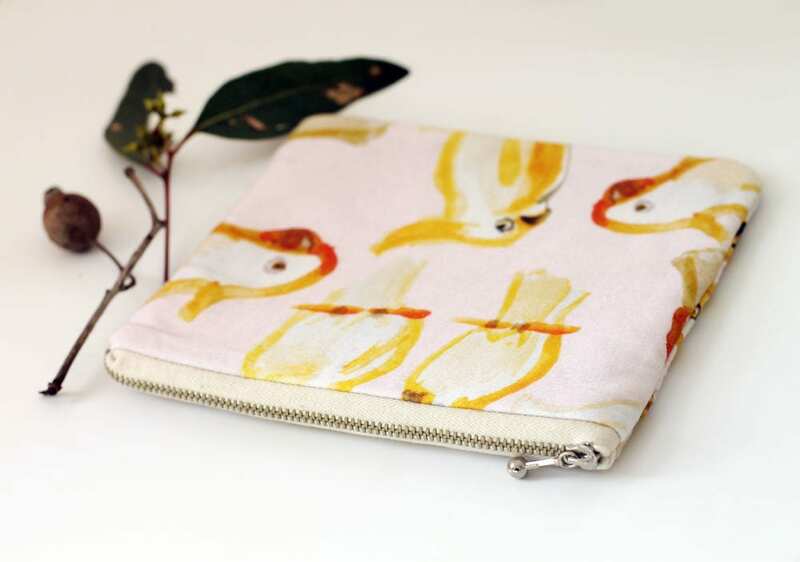 Super cute zipper pouch made from my original Sketchy Cockie print in lovely soft, cotton sateen. 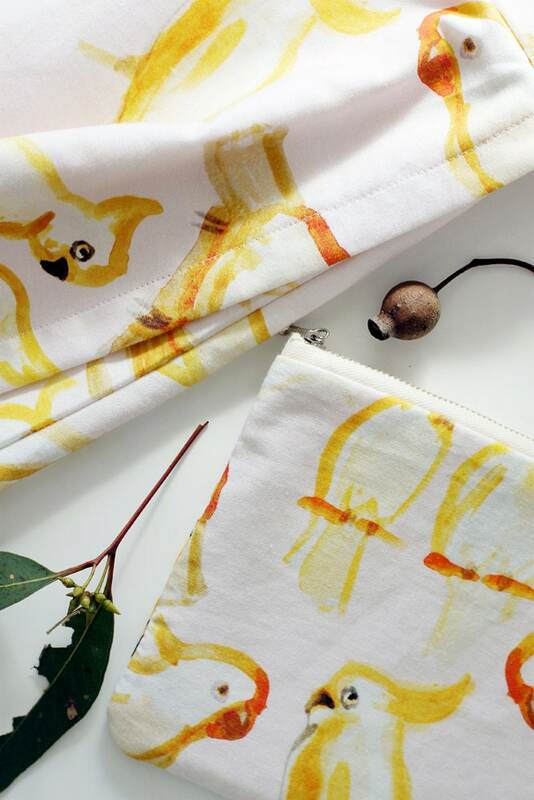 Occasional small slubs or tiny knotted threads are characteristic and give the fabric an organic, vintage feel. Can be used for makeup, phone and keys, and other small bits and bobs. 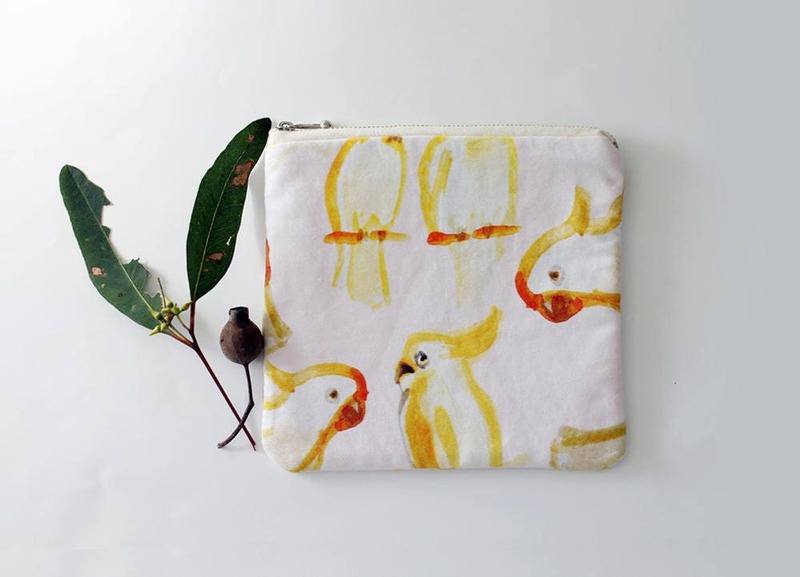 Great gift for bird lovers! 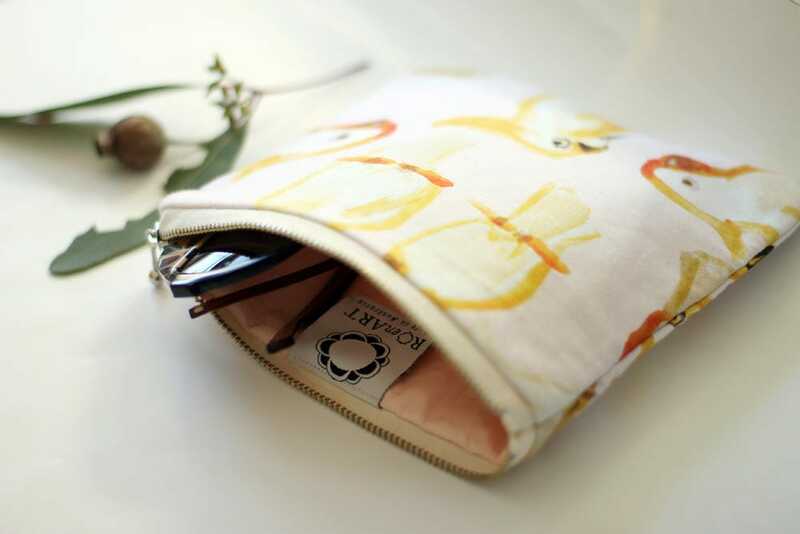 The bag is lined, softly padded and is finished with a lovely vintage style calico coloured zipper. 17cm x 18 cm /6.5" x 7"
Placement of the print may vary from item to item. Colours may also vary slightly to screen depiction. While we make the best efforts to depict as close a resemblance as possible and show the item in a variety of environments, please keep in mind that each viewing device will have a slightly different interpretation of colour, as with the different lightings (eg. indoor/outdoor/fluro lights etc) when you view your garment in real life. PayPal, bank transfers and credit card payments/Etsy gift cards are accepted. Bank transfer orders will commence once payment is received into given bank account. Layby also available! :) Please contact us for details! As all items are made from scratch and fabric requires time in advance to preshrink, print, cure and heat set before being constructed and shipped out, CURRENT TURN AROUND TIME is approximately 2-3 weeks for digitally printed items, and 1-2 weeks for other "made to order" items. We are currently building stock so please check to see items listed "Ready to ship", as they will be posted within 1-3 days of receiving payment. If you need something urgently please contact us before ordering to see if it's doable. Express courier shipping is available for approximately $43.00 extra for international customers and $5.00 for local customers. Again, please contact us prior to ordering so costs for each specific location can be confirmed. Please note, we DO NOT INCLUDE international tracking for orders under $100 unless requested. International orders over $100 come with tracking. Please bear in mind that orders overseas usually take 7-14 days to arrive, but can take up to 21 days in some destinations and even 4-6 weeks in rare cases. All international packages are subject to customs and we have no control over the length of time they keep things. Please contact us if you would like to purchase international tracking as costs vary from country to country. All items sent locally have tracking numbers which will be included with the shipping notification. As each item is made with love, care and a lot of heart and soul, we hope that such situations are kept to a minimum. However, if you are really unhappy with your purchase, RoEnArt offers exchanges/refunds within 7 days of receiving the item, buyer covers the cost of return shipping. Once items have been confirmed undamaged and in original condition the refund/exchange will be processed. (Please note that in these circumstances it will again take 2-4 weeks for the new item to be made up and reshipped out.) Again, please contact us if you have any concerns as situations do vary from case to case. Your positive feedback makes our day and I thank all of you who have shown such love and support over the last few years. It's thoroughly appreciated and gives us the drive to keep going.